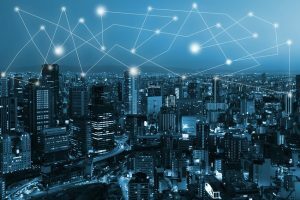 According to the former vice president of investment banking at JP Morgan, Pang Huadong, blockchain technology could be the key to avoid the next financial crisis. The comments are very important in times when some individuals complain that distributed ledger technology (DLT) does not have real use cases. Cryptocurrencies appeared in the world as a way to avoid having contacts with other centralized and traditional financial institutions. Indeed, the intention was to create a new economic system without having to depend on the actors that guided us to the last financial crisis in 2008. Pang Huadong, an important expert in the financial sphere, and academic adviser of the Asian Blockchain Institute, said that Blockchain technology could be the key to avoiding the next world-class financial crisis. It is important to mark that the crisis started because traditional financial institutions could keep track of the loans they were responsible for. Some of the loans were worth nothing and could triggered a global financial crisis that has repercussions until today in countries such as Greece, Italy or Spain. Blockchain technology would have helped solving some issues on that matter. Banks would know that they were dealing with subprime mortgages and that were very risky investments. At the moment, there are some banks, including JP Morgan, Bank of America and Santander that are working with distributed ledger technology to improve their services, reduce costs and compete with non-traditional financial instruments. Blockchain technology may be the answer to a new financial crisis, as Mr. Huadong explains.